Control of all mental function and silencing the mind are the keys to success to tone one’s mind and to regain the peace and harmony of life a yoga centre has been attached to the indoor stadium. 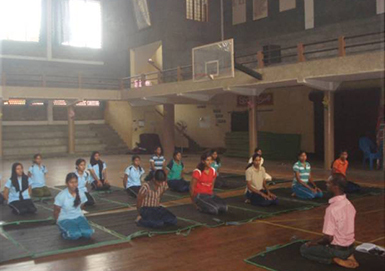 Centre has been conducting regular yoga classes and a yoga course named certificate course in yoga education (C.Y.Ed.). 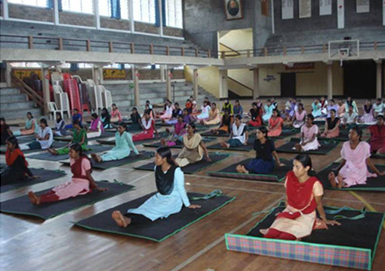 40 yoga foldable fioor spreads are arranged in the centre for the yoga practitioners. Activities of the centre have been stretched to yoga classes, yoga seminars ,yoga teachers training ,yoga courses, yoga competitions and yoga publications. The mission of the Campus Health Center is to promote health care, enrich the student health experience and support providing high quality, accessible, immediate and essential medical care to students, with a focus on health education and illness prevention. 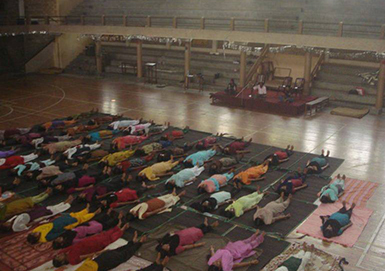 It also takes care to inculcate healthy practices and thereby to create a healthy campus community. The Centre provides weekly services of two doctors on call and holds health clinics, health awareness Programs, nutritional information, vaccination drives etc free of cost to the students.